Here is how it works, when a distress call is received any employee can assign that case (using a desktop or iOS device) to a captain. The captain then receives the case on an iPad or iPhone and, after assisting the boater, he updates the case with customer and service information, grabs a signature, and submits the case back to dispatch. We now have six new reasons for you to love our FM Books Connector Online Edition plug-in – and they all have to do with it being server-side compatible. TowBoatU.S. San Diego, founded in 1987, is the most established Towboat company in San Diego. Their experienced staff assists thousands of boats a year off the coast of Southern California and Baja, Mexico. Rob Butler’s company is ranked number four in the U.S. in terms of caseload volume. TowBoatU.S. San Diego is 100% mobile and 100% paperless. What is Vessel Service Solutions (VSS)? It is a solution designed for the boat assistance and towing industry. Simply stated, your business is assisting boaters and managing a fleet – and VSS is here to help you efficiently manage every aspect in between. Baltimore Marine Recovery, LLC (BMR) provides emergency towing, salvage, refloat, charter, and launch services to the Chesapeake Bay area. BMR has been using Vessel Service Solutions (VSS) for three years and in 2015, won the BoatU.S. Smooth Sailing Award for “Superior Operational and Organizational Standards” – with help from VSS. Is 123sync the Right FileMaker to QuickBooks Integration Option for You? 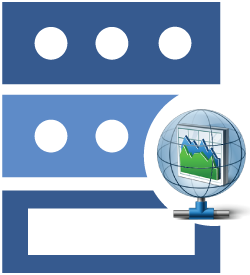 123sync is just one option available for those interested in integrating their FileMaker solution with their QuickBooks Accounting file. Find out if it’s the right option for you. Learn more about the exciting updates in version 2 of the FM Books Connector Online Edition plug-in. The Core5 CRM is an intuitive solution that allows you to easily manage contacts, sales, and documents. It is also pre-built to push invoices and contacts to your QuickBooks file. 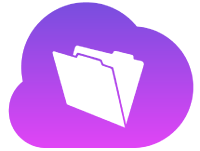 We have two new services for FileMaker Cloud to get you up and running on AWS.